Molly has her questions before they start class. What year were you born?.. Concrete questions that beg concrete answers!. The questions are not only on topics of interest for Brooke, but they are imminently, deliciously answerable. Who is your favorite Disney Princess? By God, that’s a reasonable question isn’t it? Far better certainly then the dreaded So how’s your school year going? Or even worse What’s your favorite subject?.And even better, they are questions that lend themselves perfectly to reciprocal conversation. No matter that they now know the answers. That makes it even better. And so it was that Brooke learned that Molly’s favorite Disney princess was Jasmine, and that’s why one Friday night before their dance class the next morning, Brooke could be found coloring in a picture of Jasmine to bring to her new friend the next day. Two weeks ago, Brooke and I walked out of class with Janey and her family. I noticed that her mom was carrying a Phineas and Ferb water bottle so I commented on it, pointing out the familiar characters to Brooke. When Janey’s mom said that Phineas and Ferb was ‘big in their house’ (which is code for, ya know, BIG in their house) I prompted Brooke to ask Janey if she had a favorite character. She named Candice, but our interest was rewarded with an absolutely fabulous, spot-on imitation of Perry the platypus. 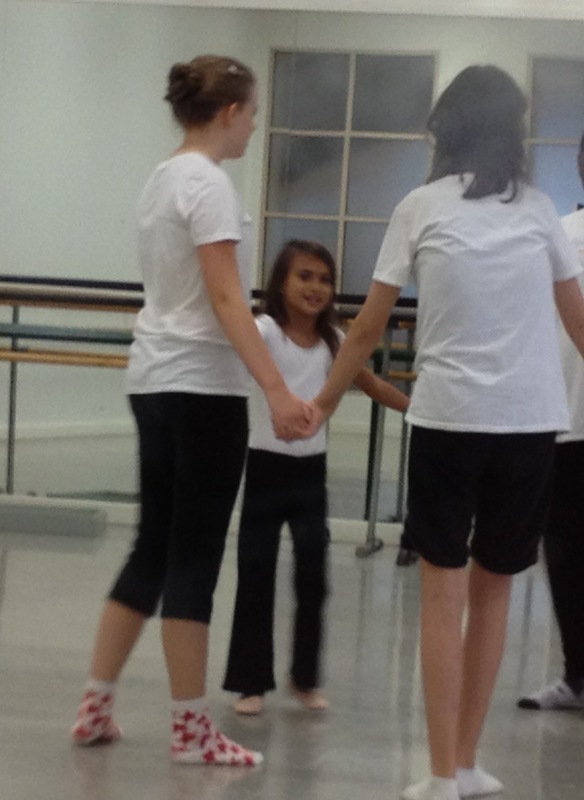 This Saturday, Luau took Brooke to her dance class. That afternoon, I noticed that she had a new Dora figurine. Hard to believe that of the 30 some odd Dora figurines in this house, I can tell you that she had not had that particular one, but Mamas know these things. When I asked about it, Luau told me that Janey had brought it to class for her. Ya know, all cool-as-a-cucumber-casual-like-that’s-how-we-roll. But, um, not usually, no. “She asked her,” he said with a smirk. As if this were the most normal thing in the world..She asked her. They connected around the things that they love most. Simple as that. .Now ain’t that something. For years now, I’ve talked about why we are so open with Brooke about her autism. My answer is always about fostering her identity as a proud autistic person. And it’s about using that identity as a ticket to finding and connecting with people who have walked a similar path to hers, with whom she will likely feel a kinship. I worry about the effects of growing up always feeling different from those around her, always feeling out of step from the crowd. I desperately want her to find a place where she’s not so different at all. Where she sees her own experiences reflected back to her. Where the questions are reasonable and consistent and predictable and answerable. And where people connect around the things that they love most. From the start, I had a funny feeling that this dance class was going to be far bigger than a dance class. I knew it that very first time that we walked through the door – there’s something in the air in that place. I’m pretty sure it’s magic. Ed note: As always, kids’ names have been changed to protect their privacy. I could not agree more that this dance class is magic in every possible way. It does sound like magic. But keep in mind, also, all the hard work that Brooke has put in over the years. You and Luau, too. It’s coming together for her, and I know what that feels like. A miracle. Completely off topic, but you and your family did a great shout out on the News 5 Eyeopener this morning! I looked at the TV and said – I know them! Ok, I really don’t, but the way you write makes me feel like I do. Now you’re really famous! Magical doesn’t begin to describe it! I live this so much it gave me goosebumps! So much awesome going on in that class. Jess, this blog post really hit close to home with me. I am a young adult with Autism. I do an adaptive ice skating program. This is my fourth year doing the program. Just this last week the new season started, and a new girl was there to skate. She appeared to be very nervous, and was verbally stating that she didn’t want to skate because it was dangerous. I went over to her, and introduced myself. I told her that she would have a lot of fun skating, and that it was not scary and that I have been doing it for 3 or 4 years. She went on the ice to skate, I asked her on the ice if she was having fun and she said yes. 🙂 I have a feeling if we lived closer Brooke and I would get along great. 🙂 Do you have an email? And so she continues to find her way……. Beautiful!! Blessed… SO blessed she is to have you, and to have found this outlet! Friendship is a glorious thing 🙂 Congratulations on finding this place, it’s why we all keep looking, keep trying new classes, in hopes that one day we will find our ‘dance class’ and be among friends. I have had tears down my face more than once when seeing my own daughter make friends and it is such a feeling of warmth and comfort, glad you got to find your own. It’s magic, and it’s not. It’s her well-deserved place. So many people never find theirs in life. To all the Moms (and Dad’s) for whom your blog is our daily inspiration: Can you relate? Thank you! I LOVE that she has found a place where she is so happy and comfortable just being the beautiful Brooke that she is. Finding a friend on top of it, well there is just nothing better than that!